It has been a year since we put an offer on this house and I started packing up my office and craft space for the move. Now, even after downsizing all the "stuff" that I had before moving here, I realized it was now to me to re-evaluate once again. Piles started to consume me and I started to feel the chaos that clutter can do to a person. 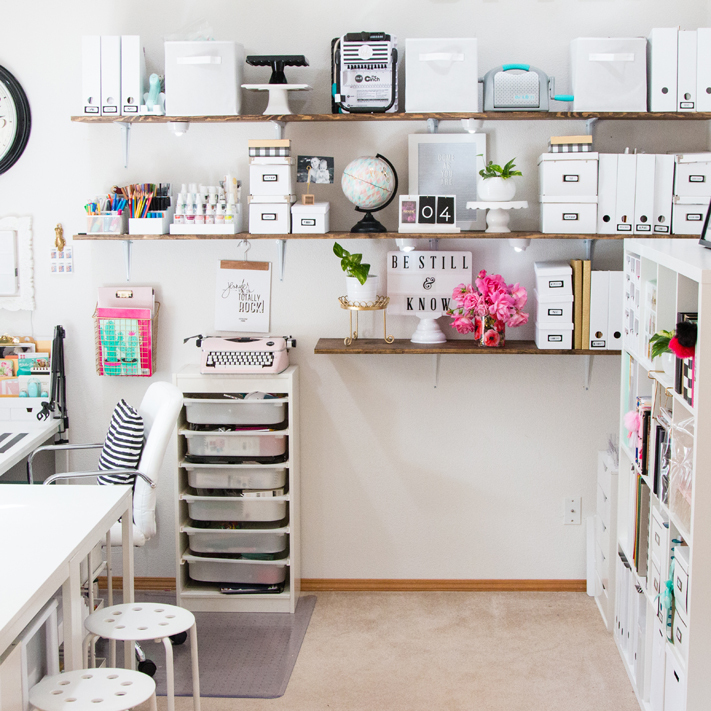 It was time to reclaim my room and find a solution to the problems in my craft room. 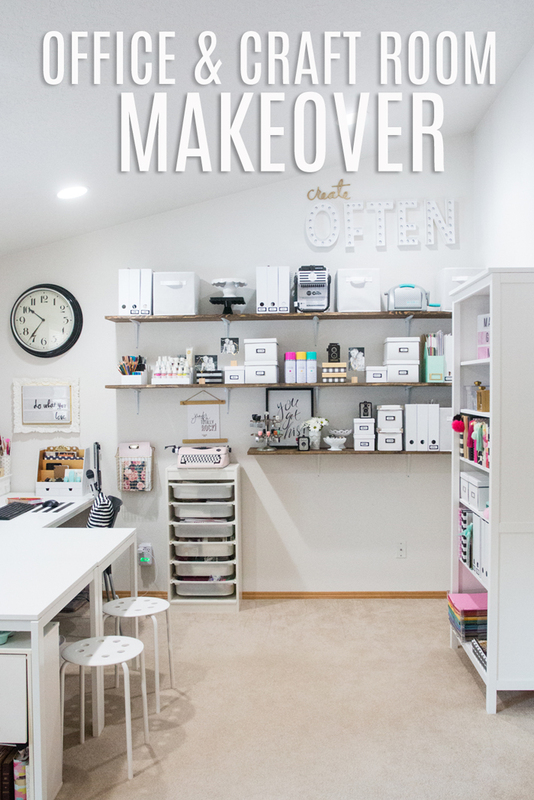 In January, I shared my room makeover over at the Heidi Swapp blog right here. The room was pretty organized but I found that the book case filled up fast with the supplies I needed to have on hand. 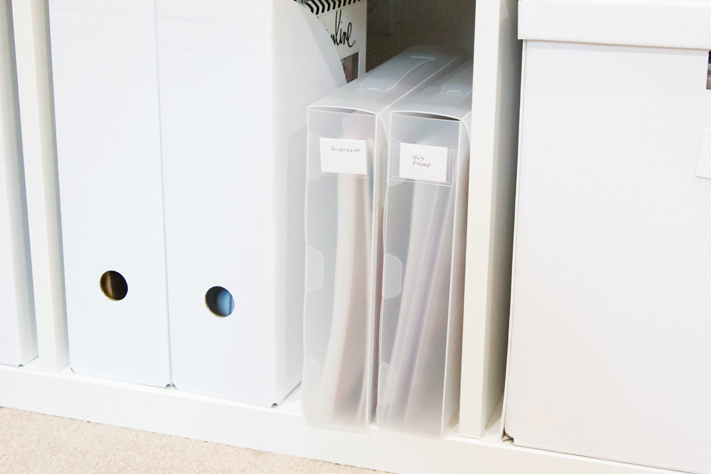 Plus, I didn't want my planners and journals in another part of the house so I measured my space and realized that the IKEA Kallax was a better fit for my needs. The Kallax is shorter than the book shelf, but I measured the space and if I need more storage down the road, I can add another 4 cube Kallax to the top to line up with the other shelving on the left. 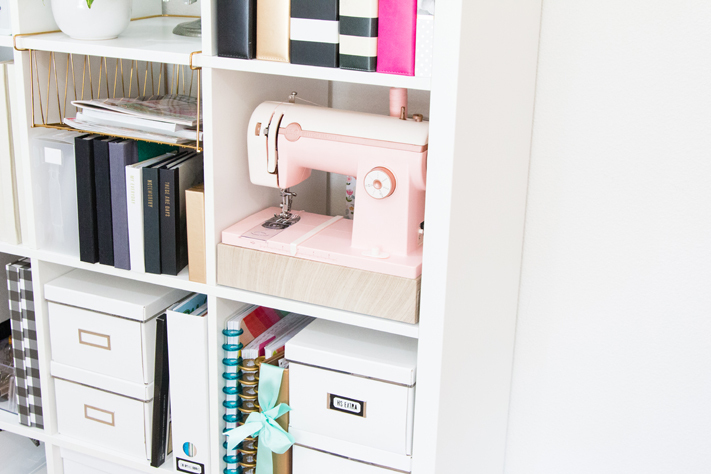 One of the reasons why I went with this system is because Totally-Tiffany's storage systems were created to fit on a Kallax. 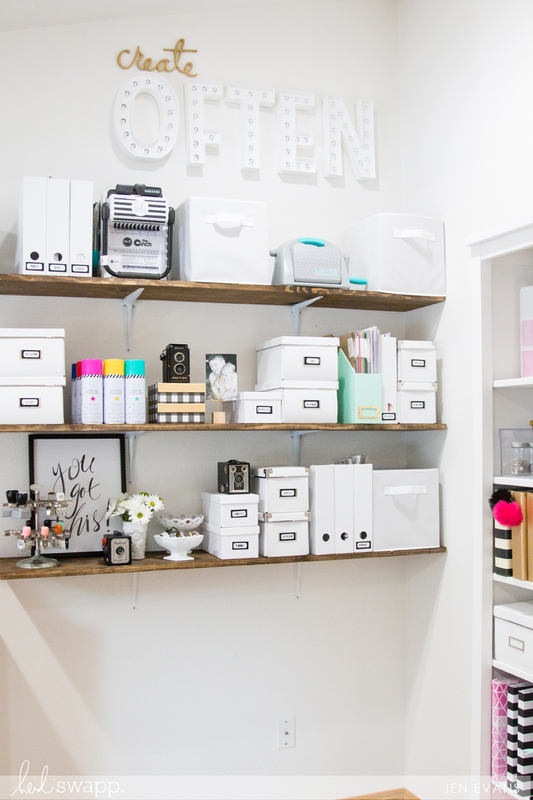 For example, on the top shelf all the way to the left, the Stash and Store Organizers fit the Letterboard letters perfectly. I can now just grab a tray and take it to the board and now the other way around! The We R Memory Keepers Stitch Happy started to get crowded on another shelf, so it fits in it's own cubby with the cords tucked away behind it. 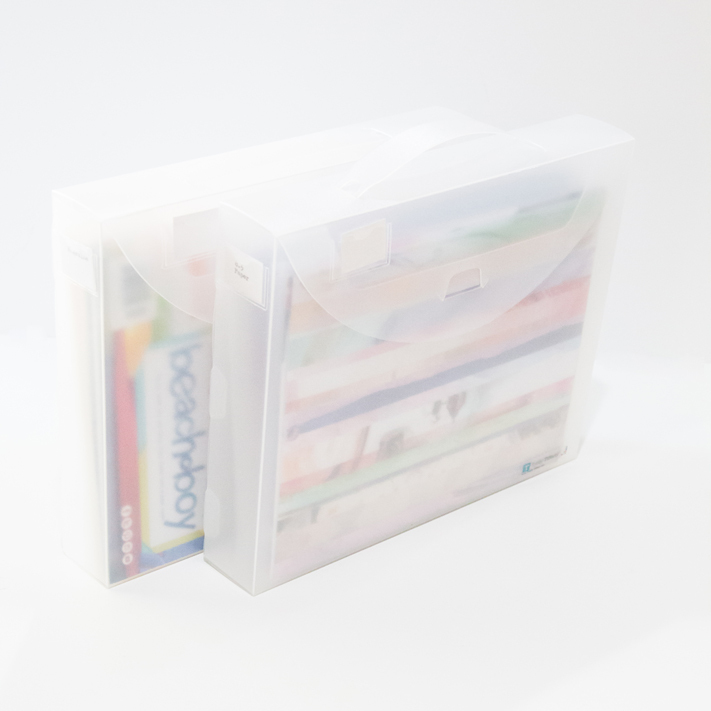 Bazzill Basics Cardstock sits upright for easy access and storage binders sit for me to store my Lightbox Letters quickly. 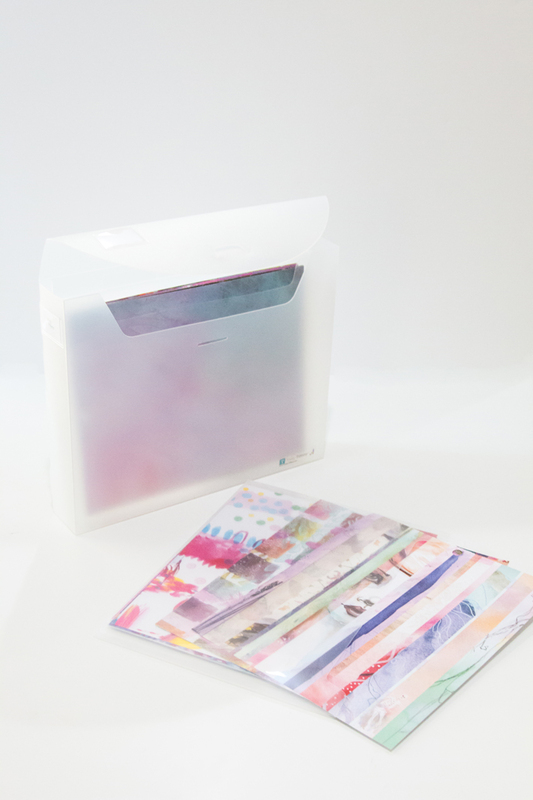 The 8.5x11 Fab Files are perfect for smaller paper pads and magazines! For inspiration, I can quickly grab the box and go! 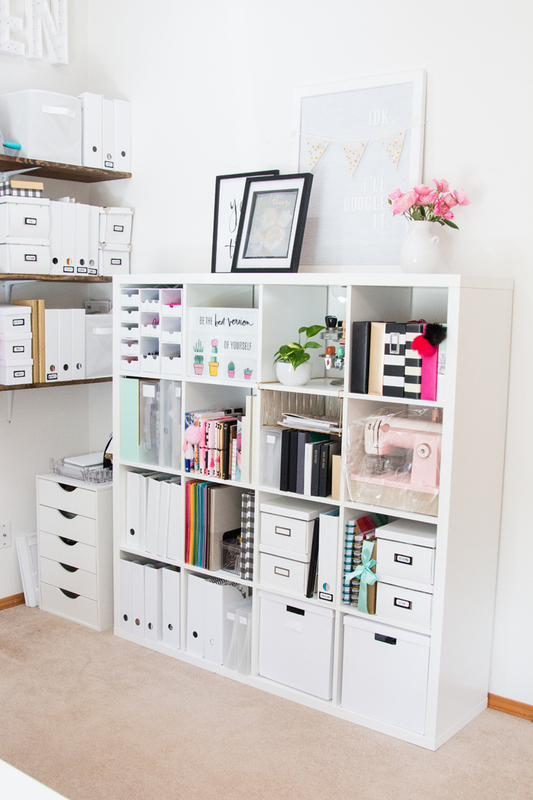 Being organized (and staying that way) helps keeps me at peace. I have noticed that living plants also make me happy. They purify the air which is a huge bonus! If you know certain colors help you feel more at peace use them! For me white, pink, gold, and a touch of black help my mind rest. The white neutralizes my work space while the touches of color just makes me smile.What is the color that helps calm YOU? 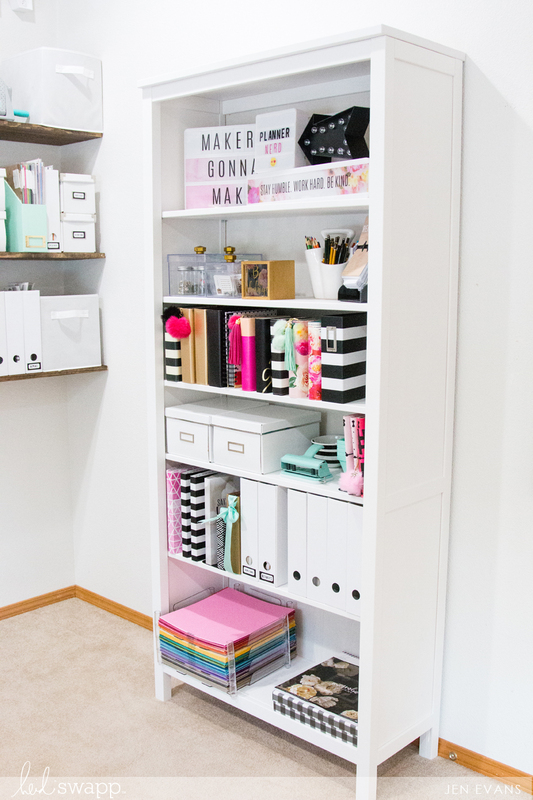 If you are trying to find ways to organize your space check out Totally-Tiffany's website for storage options! 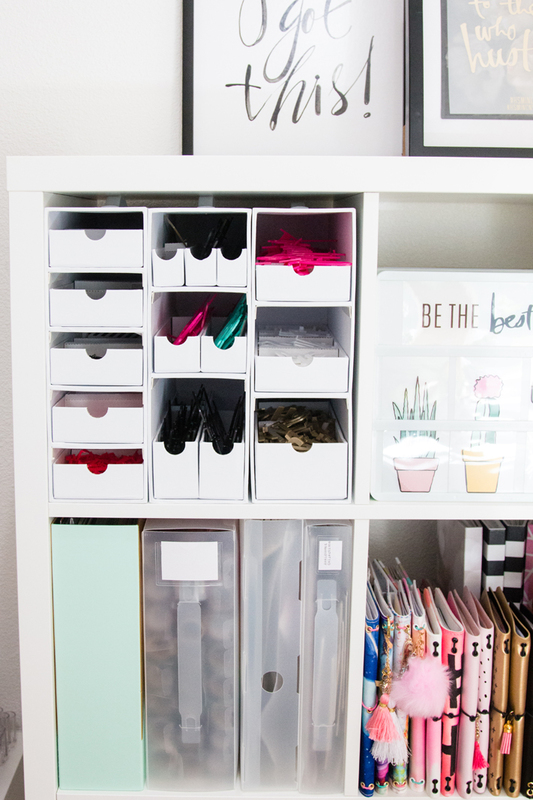 Check out the links below for more ways I organized my craft room. 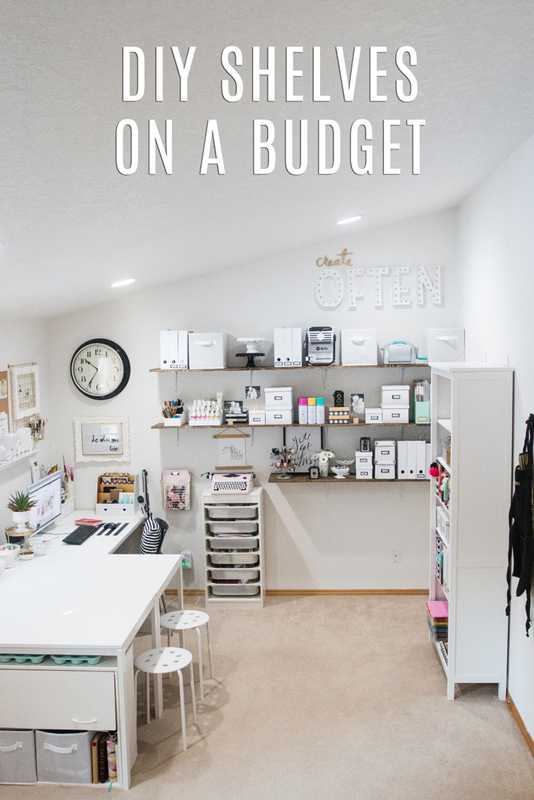 To see my craft room makeover shopping list, check out this Craft + Office Pinterest board I made with links to everything. 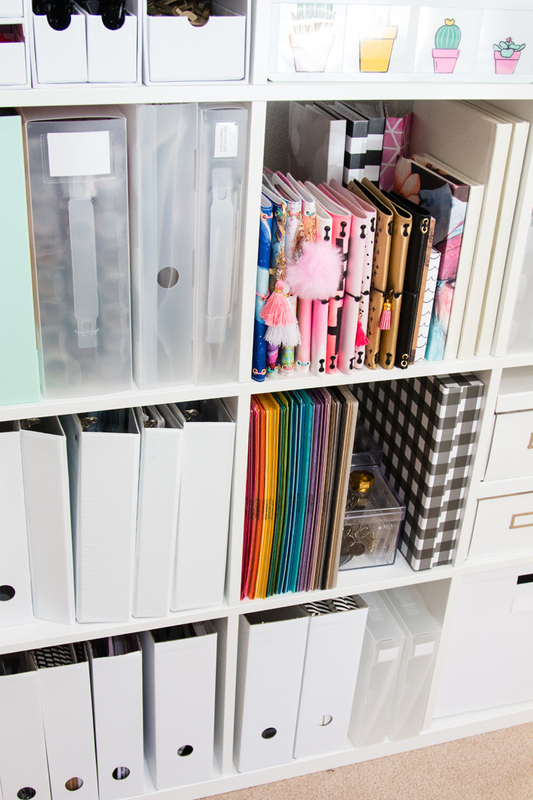 Continue to purge and organize your space so that you can stay creative and productive!